Well-known soft wet cake of Browni Intense in mini size with its delicious sauce and chocolate coating. 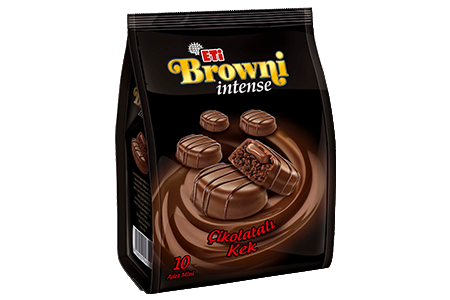 Bite-sized ETİ Browni Intense Mini offers a unique eating experience with its delicious chocolate and caramel varieties. 10 individually packaged mini Browni Intense in a single package for the ones looking for tastes in smaller size.